Today’s images are chosen by Ana Cristina. Thanks so much, Ana Cristina! All three pictures are courtesy of RichardArmitageNet.Com. Does that look like RA to you too? 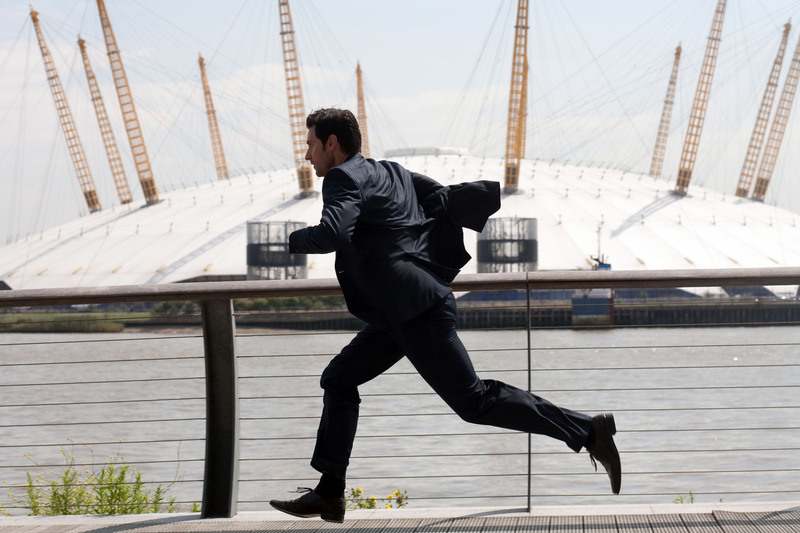 This entry was posted in richard armitage. Bookmark the permalink. I keep thinking he should do another comedy role. We don’t see his lovely smile nearly as often enough and Spooks season 9 was so grim it must have added a frown line or two to his gorgeous face! @ChrisB: Lucas is a character I can’t tear my eyes from! Ooh, if only RA would do a comedy … that would definitely be a dream come true for me! I would say: How does he do it? Richard Armitage looks ALWAYS breathtakingly beautiful!!!! Sometimes, I hate him for that (just for some seconds… lol)!!! Well done BCC… again!! You never disappoint us!!! I love the Lucas pics ! I wish everyone a happy Friday and a nice week-end. I don’t think I’ve ever seen the smiley Lucas cap. Nice! Extremely nice graphic too! Thanks Ana Cristina for some great Lucas pics and thanks Bccmee for the great graphic! Great way to start a Friday. I think you’re right about that cap Bccmee, he’s smiling more like RA than Lucas. I agree that there’s a “softness” to his face when it’s the real RA that’s not there when he’s in character and you just know it’s him! Lovely graphic, as always B! Thank you! And you’re right, there is a glimpse of RA in that background shot of Lucas – well spotted!! I love the effect paint/erase of the animation! Do you want to know if Lucas looks like RA in the photo? Yes, how did you perceive these things? Witch’s powers? LOL! I heart Lucas North! I was really apprehensive on entering season 9 of Spooks because many people didn’t enjoy the “Lucas is not Lucas” twist. I loved it. I was fascinated by the unraveling of the character and thought it was done really well. It takes a really good actor to be able to show the slow crumbling of a facade. @IWantToBeAPinUp: I didn’t mind that they deconstructed Lucas, but they completely fabricated a new past without any hints in earlier seasons. That seemed like cheating to me. The flashbacks to the Russian prison also had no bearing on the story. Those were my issues with the writing. Seemed incompetent. However, the acting was excellent and I really don’t think RA or any of the other actors had issues with the storyline. @jeanniegisborne: Mmmm… Lucas’ looks really appeal to me. I agree, it does seem like RA and Hermione are just talking as themselves in that screenshot. Richard as Lucas really is just dreamy! He does look a bit like Richard not Lucas in that one screencap (never noticed that before). Wonderful gif, as always!!!! @JasRangoon: “Dreamy” is a great word for Lucas! I’ve had at least one Lucas North dream…maybe I’ll try for another one tonight, LOL! fantastic GIF!! where is my box of crayons!!! @Fanny/iz4blue: Look under the sofa! 😉 I hid your crayons there. Lucas is probably my favorite RA Character. I was devastated by what they did to his character in S9 ….. Im still very upset about it. Would love to see him in another spy role …. preferably on the big screen!! Thanks for posting the gorgeous pics and the wonderful GIF!!!! @Chrissy: I wonder if there will ever be a Spooks movie. Very few characters survive from the beginning to the end of the show so maybe some of them can return in flashbacks. I agree with you. 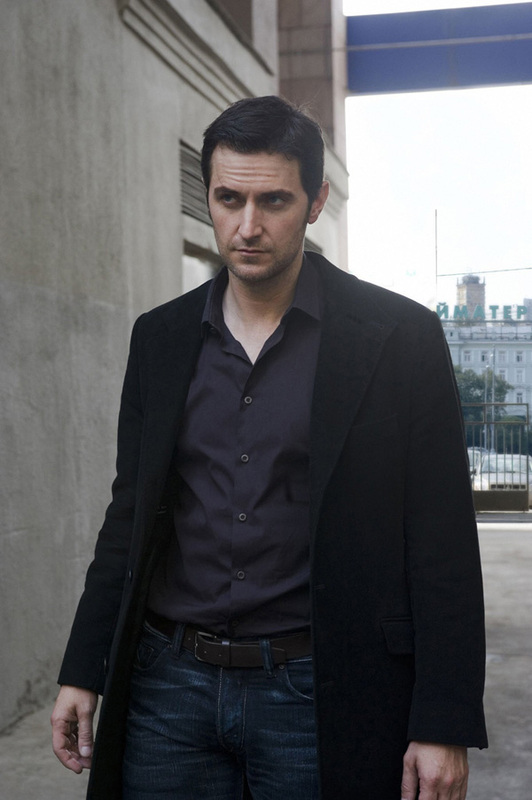 RA as Lucas-especially Lucas 8.0–is completely swoonworthy. *thud* Ha! And I also know what you mean about being able to recognize Richard Armitage in non-performance candid background shots. RAo completely transforms himself into his characters subtle ways–voice, physicality, intentionality, gaze, etc.–that when he is not performing, we perhaps glimpse a bit of his “real” self. Oh and what a joy it would be for RA to be in a romantic comedy. Richard Armitage was so spot on natural as the endearing Harry Kennedy and comedic foil to Dawn French’s Vicar Geraldine Granger. RA always makes his character portrayals seem so effortless–as if he is wearing a well fitted black leather glove– that we, his audience, become swept away in his storytelling. Or at least, I am swept away. Lovely gifs and pictures as alway! @Bettina Cheim: Thanks for your kind words on my holiday. I’m going to take a listen to those songs, and I always appreciate recommendations! I complete agree on the one shot, I had absolutely the same thought about RA and LN at that moment. You are really talented in what you do with these pictures! And you’re right about that one picture. It DOES look more like Richard and not so much Lucas. I would dearly love to see RA do more comedy. Harry Kennedy is one of my favorite characters. @Holliday: Let’s hope that RA does do a comedy in the next couple of years! I would adore it and watch it about a million times, LOL! I think of the Richard/Lucas similarity in S7 ep4 when Lucas and Ros are in the cafe, disarming the bomb/setting up the fake bombs, and he says to her “Which are you better at: Faking it or the real thing?”, followed by the lovely smile! Cheeky, that man! Hi,Bcc,welcome back. I missed you! And what a lovely surprise you prepared us: a Lucas gif. Lucas North is my 2º favorite character , but of all characters, he is the most resemble to RA. In the pic Lucas is talking to Hermione in a way so natural , that actually seems to be the own Richard talking to her. A Happy Weekend for all! I wish you a very happy weekend too! Lucas North is always welcome! You have really good ideas for making the animated graphics. Well done! You know what, bccmee, I became your big fan when I saw your work, “Because of a typo, Lucas does not become BATMAN”! That really was hilarious! I love the animated graphic! Bravo Bccmee! Lucas is a wonderful character , good choice Ana Cristina! Yes Lucas seems to be RA in this capture Bccmee. I absolutely love when Lucas become more “human” (when he smiles like that or eats donuts…for exemple).